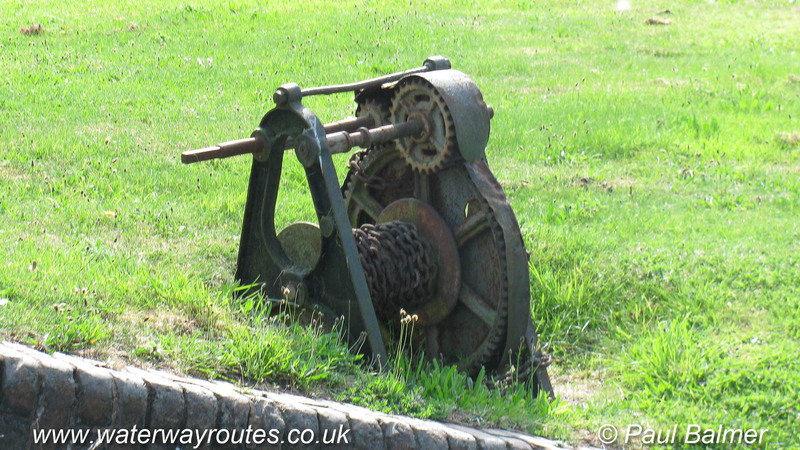 This winding mechanism once allowed a chain to be pulled taught across the canal outside Bradley Workshops to stop boat movements. Possibly more of a deterrent to stop mischievous youths than real theft. When closed by the chain the space to wind boats is severely limited and full length boats may no be able to wind which is why signs at the previous winding point say this location is only available during workshop opening hours.